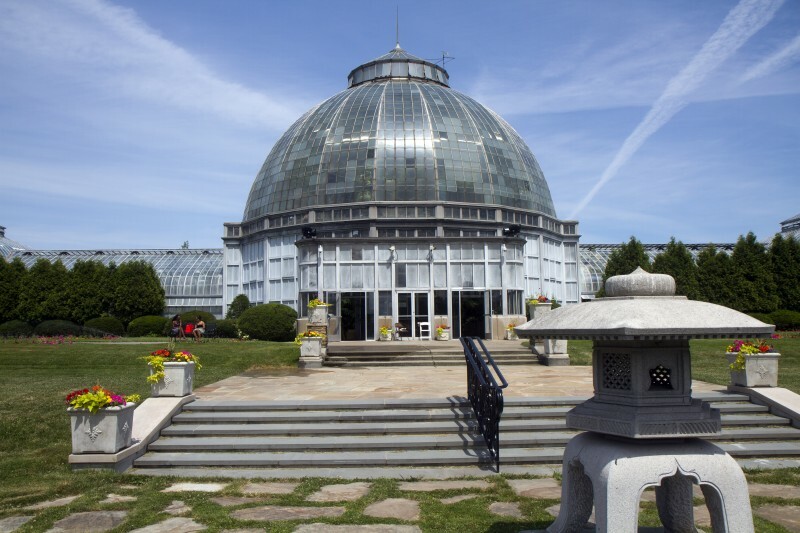 Belle Isle Conservatory. Photo by Steve Neavling. Under state control, Belle Isle is more popular and safer than ever. At least, that’s what the Belle Isle Parks Advisory Committee, which reports to the DNR, told the public at its meeting last week. In a meeting that more resembled a pep rally, committee members repeatedly asserted that four million people have visited the island so far this year, which works out to nearly 17,000 a day. “Crime is at an all-time low,” was the entire report of the island’s state police chief. Neither assertion was supported by any evidence or even any explanation of how the claims were arrived at. Anyone who is a regular visitor to the island would dispute the attendance estimate. And anyone with any sense of the park’s history would dispute the state police claim. Nonetheless, the good news kept flowing: The giant slide is doing giant business, two fishing piers are about to be renovated, and six to ten weddings are taking place on the island every weekend. However, it took some prompting for anyone to report on the well-publicized flood in the aquarium after a recent rainstorm – and then Katy Wyerman of the Belle Isle Conservancy even put a positive spin on that, saying it’s helped publicize the fact that the aquarium was reopened in 2012, and it’s going to help with fundraising. In passing, it was noted that $47,000 has been spent on repairing frequent water main breaks on the island this summer. No discussion of that issue ensued. The committee is supposed to have eight members. Only three were present – and DNR regional supervisor Mike Terrell sat at the table substituting for the absent DNR member. He wasn’t introduced, and he’d turned the actual member’s nameplate around so it wouldn’t face the audience. Even some committee members seemed to be in the dark. If there were four million visitors, Michael Curis wondered how much new revenue was flowing into the DNR from people buying the $11 state recreation passports required for entrance. He got no answer. Instead, Terrell asserted the state has spent more than $20 million on the island since taking it over from the city in February 2014. He also claimed that more than half the DNR budget for all state parks goes to Belle Isle. Again, neither claim was substantiated. A handout said “public workshops” would be among “next steps” in the island’s “strategic planning process” – but there was no mention of them at the meeting, and the long-term planning process so far has been conducted out of the public eye. The next advisory committee meeting will be at 10 a.m. on Sept. 15 at the Flynn Pavilion on the island. Members of the public get three minutes of public comment at the end of each meeting – though after such comments this time, committee members reacted angrily and defensively to points that were raised. Even if visitors to Belle Isle are not actually at an all-time high, the state’s self-assessment of its stewardship definitely is. Are people lining up to watch the submarine races? It sounds like they are averaging the Grand Prix and other event attendance into the average daily attendance. Last year I had extra time and visited it was not busy nor should it be on weekdays. I couldn’t find an open lavatory on two occasions I had to leave to use a fast food lavatory. I dont think the state is not living up to the hype put forth. Penske should be legally obligated put forth an accurate accounting of the claimed expenditures. Penske should assemble investors and with the usual generous tax breaks at the expense of homeowners build a race facility inside Detroit. I was looking for some info in the island and Giant Slide when I run into this. Interesting facts, great comments! I go on Belle Isle at least 5 times per week to walk or ride my bike. During the day there are people on golf carts that check to see if your license plate tab has a “P” on it. They only check parked cars so theoretically one can drive into the island without paying but if your car is parked you risk a ticket. Access to the island is blocked at 10 pm. There is a security company car along with orange cones that block cars from coming on to the island. I would DEFINITELY dispute their claim of 17k daily visitors. When I’m there I wouldn’t say there are more than a few hundred. The area near the Scott fountain is heavily populated and the area near the Giant Slide and playscape is heavily populated but that’s about it. Whenever I’ve been on the island, the Giant Slide is never open but there’s a lot of kids that play near it. I’ve not seen a wedding performed on the island but I would agree that every weekend there are bridal parties taking pictures on or near the Scott fountain. The island is much cleaner, the restrooms are clean and I feel safe. 17,000 sounds high but I think 10,000 or 8,000 might be legit. Its a big island , around 1.5 sq miles, a couple thousand every couple hours seems about right. 17,000 in the summer, or weekends seems low maybe. Mmmmm…… I don’t think so. The island is open about 16 hours per day (6 am – 10pm) so that means on average 1000 or so cars would enter the island per hour. I go to Belle Isle in either the late morning 10:30 am or in the evening at 7. There’s no way that I see anything approaching that kind of volume. On the busiest days I might see 75 or 80 cars lined up to get in the park and that would be on a Saturday morning or Friday night. When I’m there I either walk or bike ride the perimeter of the island and there are large swaths of land where I don’t see anyone especially on the side near the Coast Guard station all the way around to the Yacht Club. I have never seen a body at the DNR booth, a person can also buy a pass at the White House, a day pass is $9.00, a yearly passport is $11.00. There are two State Police officers assigned to Belle Isle, that’s it, two. Every night around 9:30-9:45 one starts at the east end, one starts from the west end, they drive around the island and announce over their loud speakers that the park will close at 10:00pm, and everyone has to leave, I wonder what the compliance rate to that is? There is no gate to shut down access so anyone can come in when ever they choose. I bet its a 300-500 ticket. We use to go to the Island a lot back in the day ( My new Line) and the Detroit Police would close the Park the very same way. But there were a lot of Police, Not just two. I would drive around the island and go right back to the same spot as I had parked before. Nothing ever happened. I was never asked by anyone for money to enter Bell Island. Well, money had to be shifted to Snyder’s lawyers. What do you expect? what kind of money? 11 sticker where people go once per month and that covers half the cost of the investment in the island. That would mean they could still be 10 mill in the hole. Don’t tell me you are so stupid you think every person who visits buys a sticker, then goes only once, and you did the math and came up with 44 million right? You also thought, just like when you see a companies gross revenue, that means they have no expenses. You think 44 mill was made in “profit”, admit it ! You can easily have 4-5-6 people visiting in cars and trucks, that visit once per month, or 7-8 times per year. Thats one sticker, 28-72 visitors per 11 dollar sticker. That comes out to 15 cents per visitor on the low end, and 39 cents on the high end. Throw up the straw man. Snyder has sucked up close to 3.4 million tax dollars for his private lawyers. So far, the tab is still ticking. They stated that 1M of the 4M visits were the night of the fireworks. Not every person pays every visit. Every car pays only once/year, no matter how often they visit or how many people are in the car each visit. I have yet to see a booth at the bridge collecting park admissions or checking for the park sticker on my plate. How exactly are they collecting revenue then? I’m afraid if this doesn’t go well then there is no way the RTA tax will pass. People are burned time and time again by “oversight” from schools to parks to zoos to the DIA. When I went a couple of Sundays ago, there was a booth on the other side of the bridge collecting admissions. The line of cars was long.